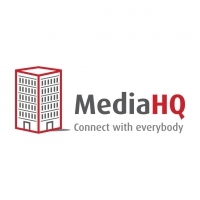 MediaHQ.com is an online platform, trusted by thousands of communication and PR professionals to provide up-to-date media contacts. With hundreds of customers using our media intelligence and press release sharing platform, it’s essential they get their story to the right person first time every time. We’re looking for a Digital Marketing Executive to join our diverse team. If you’re driven, innovative and creative this is the position for you. This is an exciting role which will allow you to not only sharpen and hone your skills but also to have a direct impact on the company’s strategy in a fast-moving and exciting environment. BA/BSc or relevant qualification in Digital Marketing. Experience in digital marketing platforms such as Google Ads, Google Analytics, MailChimp, OptInMonster. Demonstrate the ability to understand and execute a digital marketing strategy including email campaigns and content marketing. Strong interpersonal and collaborative skills, creative and interested in emerging digital trends. Minimum of 2 years experience, agency experience preferred. Strong organisational skills with the ability to multitask and work in a dynamic environment. Sound business judgement and exceptional attention to detail. Experience with paid and organic social media marketing. Experience in optimising for search. Planning and executing marketing activities to drive leads, opportunities and sales. Manage budgets and meet targets. Support the team’s content marketing strategy to generate qualified leads. Generating reports for digital marketing campaigns using data-based analytics tools and presenting this data in an easy-to-understand format. Understanding of and ability to navigate analytics (Google, social media analytics) to pull out insights and make campaign changes accordingly. Take the lead in churn rate management and reporting through customer engagement and outreach. Plan, execute and follow up on a wide range of customer retention campaigns. What can you expect from MediaHQ? A full-time, 12-month Fixed-Term contract. A convenient and well-connected location in Harold’s Cross, Dublin. A varied workday with numerous learning opportunities. If you’d like to submit your application for this exciting role, then please submit your CV and Cover Letter to Barbara mediahq.com by 2pm on Friday, Jan 11.